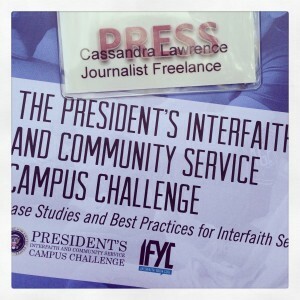 Recently I applied to a journalism internship. For the application I wrote a personal bio on why I wanted to be a journalist. I find it fascinating that as we look back on our lives all the small turns, conversations, and moments add up to one clear direction. I wish it was as clear at the beginning as it is in retrospect, alas that would not give me the breadth of experience I need to discern. Sometimes we find out what we shouldn’t be doing before we find what we need to be doing. While each of these jobs and careers were what I needed to do at the time, it wasn’t what I needed to do for all time. As I negotiated the changes of the last two years I have been reviewing my life searching for patterns, taking the next steps that presented. Working even if I wasn’t sure each step was the right one. This living in ambiguity has been hard and it is revealing an exciting and passionate focus I look forward to developing. Below is the bio I submitted for my applications. The exhumed grave of a child killed at the Lukodi Massacre is an image that will never leave me. 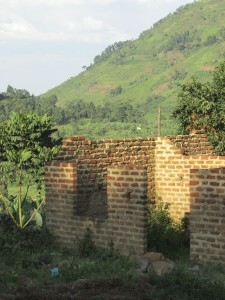 While in Uganda, I heard the stories, saw the scars, and visited the graves arising from the 20-year-old conflict. Nearly 12 years earlier, just three months before the second intifada began in Israel/ Palestine, I visited the closed markets of Hebron. Learning about the history and current situation in Hebron, at 19 years old I became acutely aware of the power of American spending abroad. I also became curious about the role of religion in a conflict, traditionally characterized along religious lines. The next year, in 2001, I began university and a journey to understand the intersection of religion, politics, history, and the people caught in the crossfire. After my BA in religious studies, still questioning the link between religion, politics, and conflict, I enrolled in graduate school in Northern Ireland. Determined to learn more about the elements of conflict and unwilling to join the vilifying of Islam, I wrote my dissertation on Islamic non-violence in Palestine. I discovered that the lack of evidence and understanding for the complexity of Islam and the Middle East was driving a dangerous rhetoric, which oversimplified and clouded the truth. Newspaper headlines and academia focused on the bleeding headlines and not on the large community of people working to bridge understanding. I found that each question leads to another question, revealing layers of answers. Ultimately, this questioning and peeling back of answers lead me to believe that the smallest acts can change a world, and an opinion. I also discovered that it is often small acts built up over years that lead to huge changes, good or bad. This realization is what led me to leave academia and engage in community development, first with AmeriCorps NCCC in Louisiana for hurricane recovery efforts, then in California working with teenagers at a local church. Working with people dedicated to the everyday struggle of doing more with less, I gained a deep appreciation for all that gets accomplished in this world. I also discovered that time and again I was answering questions and translating for people the reality of working with few resources. After finishing my year of work in Louisiana, friends, family, and strangers asked me how much longer until the recovery would be complete. My response was that I could work my whole life and the recovery would still be incomplete. The problem was not the hurricane; it was a legacy of poverty and neglect. The six years I spent working with AmeriCorps and other community organizations revealed that while I loved working in the field, I also relished the challenge of digging deeper into the questions surrounding issues. I found myself drawn back to the challenge of distilling large pieces of information to find surprising connections, all for the goal of providing a bite-size nugget to enhance understanding. This drive brought me to the field where I stood beside the grave of a child in northern Uganda. I wanted to discover what was happening after the conflict was over, to learn how people were reclaiming their lives. What I discovered was a community struggling to navigate development after the multilateral NGOs had withdrawn. Today, UN envoys use Gulu only as a quick overnight stay on the way to Juba. I saw Americans and others working on the ground to empower people through relatively small, daily acts. I learned how, in the midst of conflict, community workers reached across previously un-crossable divides to find safety for the region’s children. In Uganda I learned that I needed to be part of the community who translates these events into stories; creating a glimpse of understanding that would otherwise remain clouded in misunderstanding. Bringing these small stories to the world can seem insignificant; yet revealing a new understanding is never a small act.